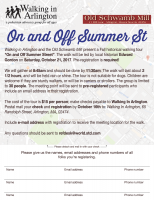 A local community group, Walking in Arlington requested a flyer for their upcoming historical walk. 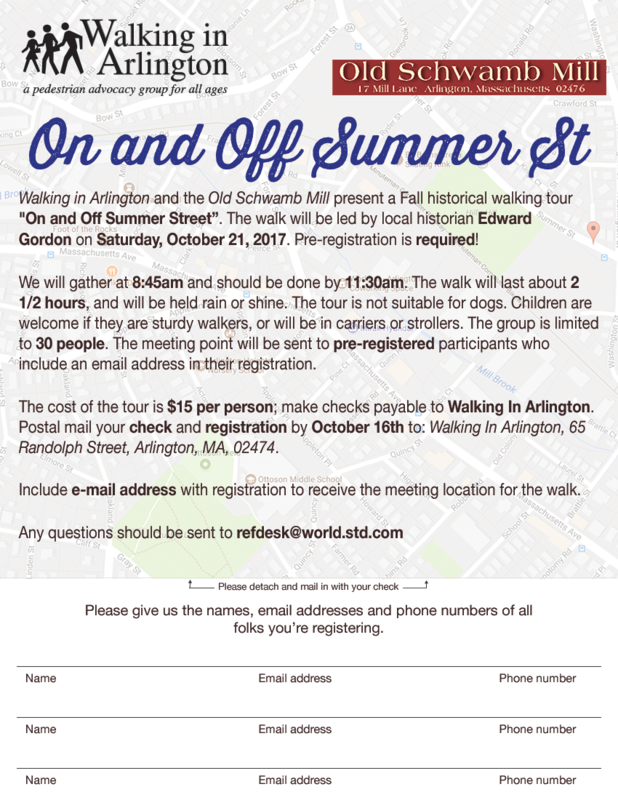 The walk is co-sponsored by a local historical Mill so I added both logos to the flyer. 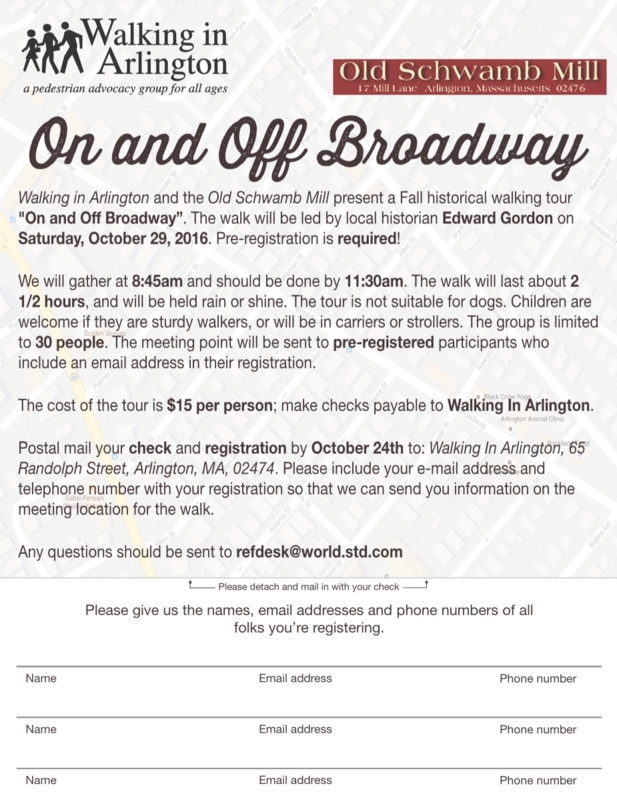 I used a slightly distressed font since the walk features historical buildings. I also put a low-opacity map background featuring the main street involved (Broadway). The form below the main body was extended to allow multiple people to register at once. An alternate design has a map section featuring Broadway with various pins on and off the road right below the logos. The body text would have a plain white background. This design never got made so no screenshots. The group printed 100 flyers and ended up giving them all away at a town event. I did a similar flyer for their Fall 2017 walk; the wording was changed around a bit and it used a new background image since the walk location was different. They printed about 150 flyers this time and had a handful left over as well as giving some to the co-sponsoring organization.